As far as what the rest of the family accomplished today… Eric took Serenity and Donovan to the park and they got to enjoy the outdoors! 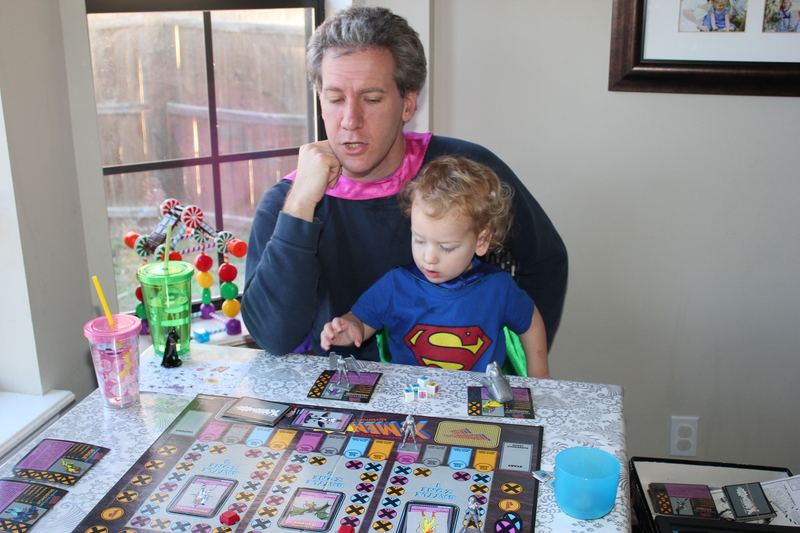 Yay for 60 degree days in the middle of winter =) We also played Dominion with Serenity, X-men while wearing capes (which was Donovan’s choice after Dominion. I was really impressed with how patient he was while we played the big game with sister. He played Little Computer for awhile, did some building with the candy construction set, and basically entertained himself.) I went to Target for an hour and came back with new lights for the house next year and lots of other fun things. An hour away from the baby was long enough though! Maia and I snuggled and napped. 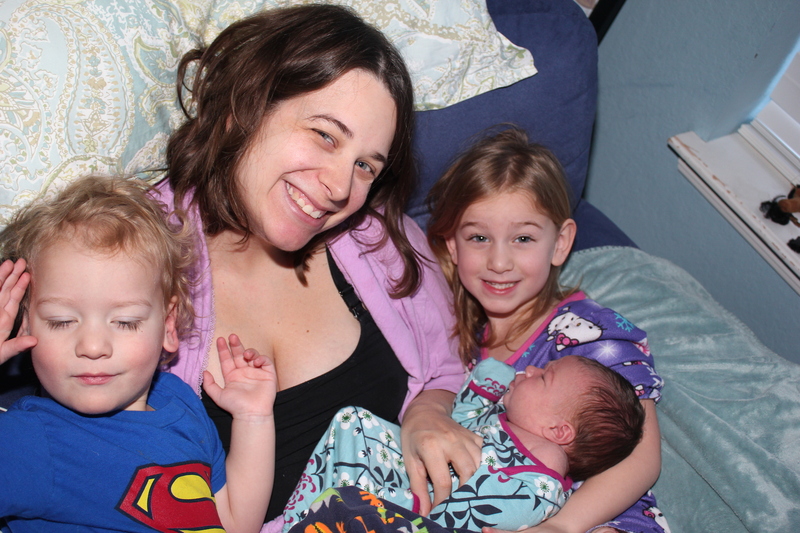 When we woke up for the morning, both kids came in to visit and took turns holding the baby. If they had their way I’d never put her down except in one of their arms. 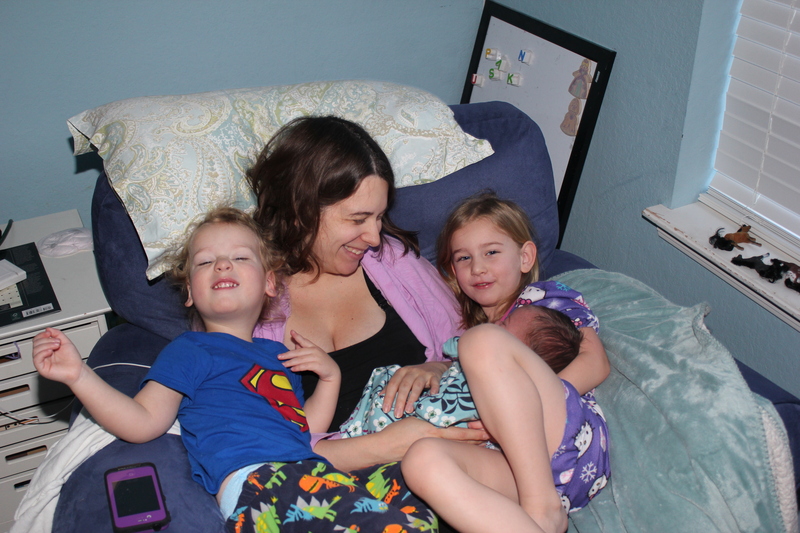 At one point we were all snuggled together in my chair, and I was in heaven =) They are so sweet with the baby. This entry was posted on Friday, December 27th, 2013 at 8:13 pm	and is filed under Uncategorized. You can follow any responses to this entry through the RSS 2.0 feed. Both comments and pings are currently closed.